Friday, May 25th was crowned Geek Pride Day, as it was the date of the premier of the first Star Wars Movie, 35 years ago. I personally thought May the 4th was a perfectly fine Geek Pride Day, but whatever. 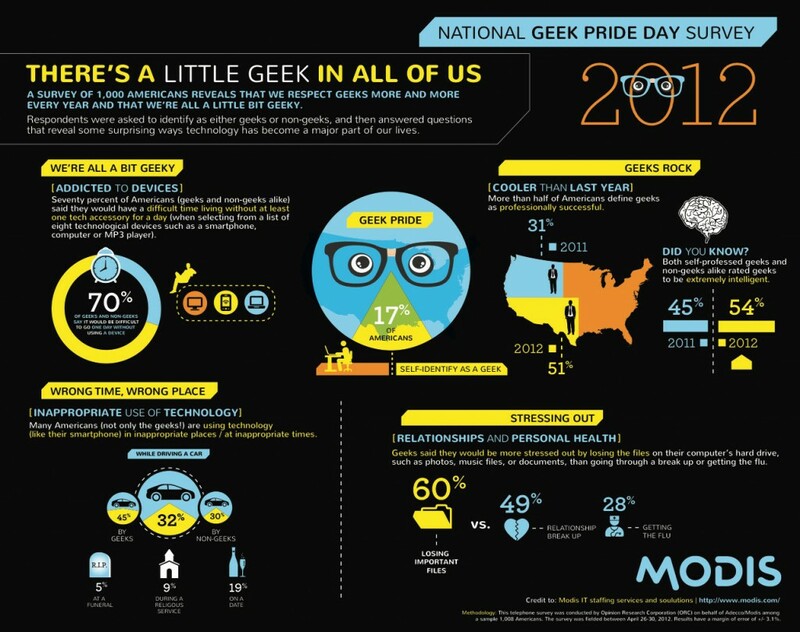 I’m always on the look out for statistics trying to define the sociology of Geek, because as a people we are starting to define our society at large. Like the cowboy and the knight and shining armour, it’s probably going to be the 21st century’s period costume.